Attention MST3K fans: The Mads are back! 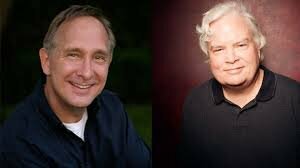 "Mystery Science Theater 3000" stars Frank Conniff and Trace Beaulieu are taking movie riffing back onstage in their new live show. Watch with Frank and Trace as they screen one of the worst movies ever made and “riff” (or "comedically make fun of," for the uninitiated) live in the same style as the Peabody Award-winning TV series.